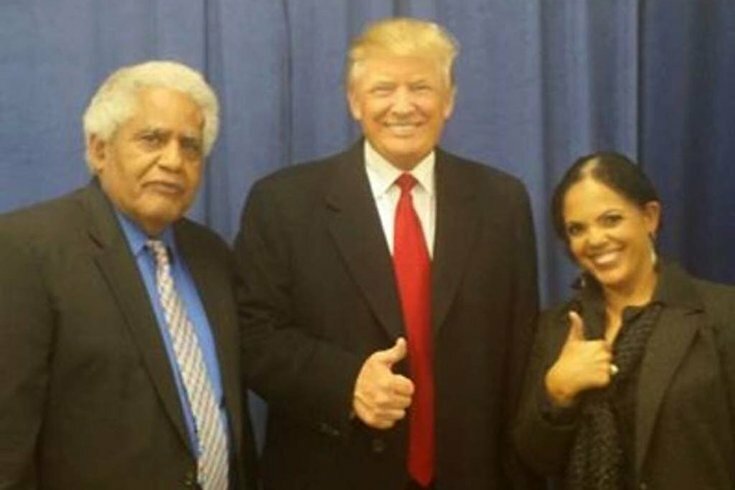 T. Milton Street Sr. and his daughter Renee Toppin met then-Republican presidential candidate Donald Trump on Dec. 2, 2015. Street is currently running for the state house as a Republican. As he prepares for this afternoon’s Porngate rally outside the district attorney’s office, T. Milton Street Sr. took a few Thursday morning moments to tell PhillyVoice how his meeting with Republican presidential candidate Donald Trump went the previous night. It should come as no surprise to anyone that it involved a moment in which Trump’s security sprang into action. Here’s the backstory: Street called from the road to say he was en route to Virginia to meet with Trump and invite him to a yet-scheduled rally in Philadelphia, later confirming that he was, in fact, about to meet the Republican presidential candidate. Who said it: Donald Trump or Frank Rizzo? “It was great. Great. He’s coming, but I gotta coordinate with his campaign because he didn’t have a schedule in his pocket. He doesn’t handle that kind of stuff. “I told him privately that we have problems with the violence in Philly. My message was that we have those Black Lives Matter people, but black lives matter no matter who kills them. Since 2007, we’ve had 3,000 black people killed by black people in Philly, and all those Black Lives Matter people’s jaws were locked down tighter than a crab’s a--. “Black Lives Matter has to go into the black community and stop the violence before they can have standing and credibility....Obviously, he agreed with that. “My follow-up to that was simple: You have to come to Philly and talk about this in the black community. You can’t send a surrogate. You have to tell them what you want to do to help. “Then I reached into my pocket to hand him a flier about my 414 Community Movement and the FBI rushed over to me, even after they searched me up and down to get in in the first place! It was funny. Emails sent to the Trump campaign seeking comment on Wednesday's meeting and the upcoming visit weren't immediately returned on Thursday. Street said he expects the Trump news to be a point of interest at his Porngate rally outside the district attorney's office at noon today.